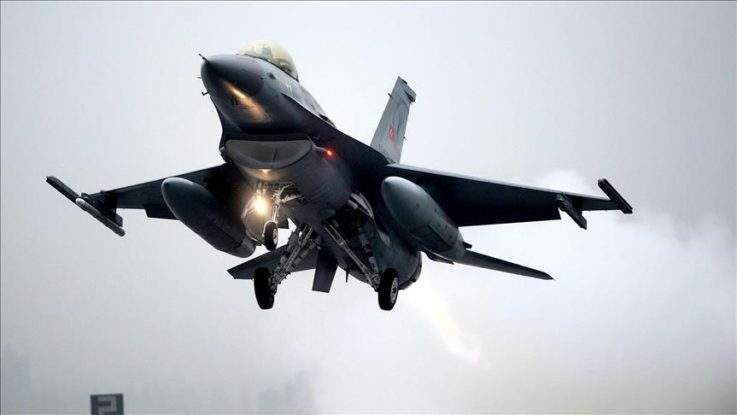 The Turkish Air Force has conducted operations against the terrorist group PKK in northern Iraq and southeastern Turkey, the military said on Thursday. In a statement, the Turkish General Staff said the airstrikes were conducted in the Cukurca countryside and in Iraq’s Zap region, destroying four weapon emplacements, two caves and several shelters. The Turkish General Staff said the military had detected during an early morning air-backed operation in the Cukurca district of Hakkari province in southeastern Turkey that a group of terrorists was allegedly plotting an attack on an army base in the region. Meanwhile, in a separate statement, the military said 148 terrorists had been killed since the beginning of this year. Seventy-seven of those were killed on Iraqi side of the border while 71 others were killed in Hakkari’s Semdilli, Cukurca and Yuksekova districts, the statement added. The PKK — listed as a terrorist organization also by the U.S. and the EU — resumed its armed campaign against Turkey in July 2015 and since then has been responsible for the deaths of approximately 1,200 security personnel and civilians, including women and children.